Founded in 1975, Pacific Talent represents many of the leading music and entertainment acts on the West Coast. 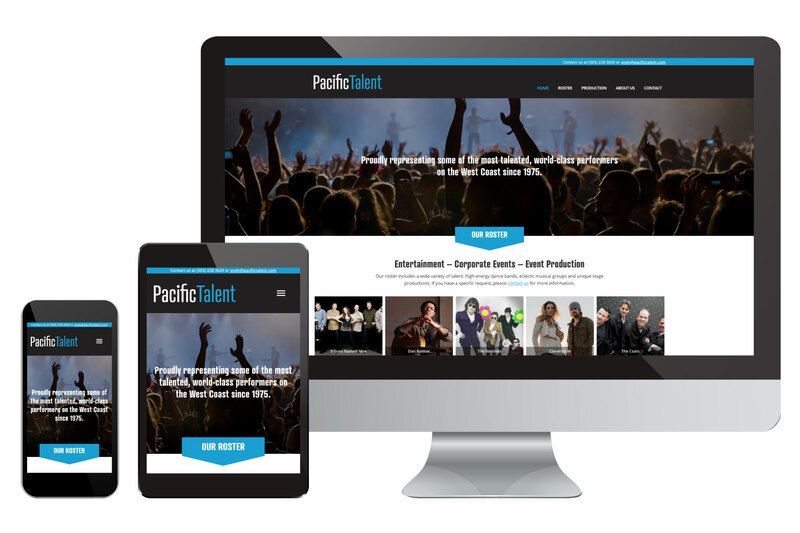 Pacific Talent needed a website and brand identity refresh to help showcase their performers for new audiences. The existing logo was dated and in need of a modern update. We wanted to keep the focus on the performers and not the management company, so we chose a clean, simple font and color scheme but avoided over-designing the brand. The website features top artists on the home page to draw the viewer in. Contact information is highlighted at the top of each page as well as in the main navigation bar to encourage inquiries.